WHY ARE SEXUAL OFFENCES ON THE INCREASE? LET US EXAMINE. Whom to blame? Were Germans inadvertently overwhelmed by the controversial comments in German Facebook page? Or, Facebook management incorrect in resisting the plea for removal of those anti-foreigner postings? India needs a welfare economist, not development economists! 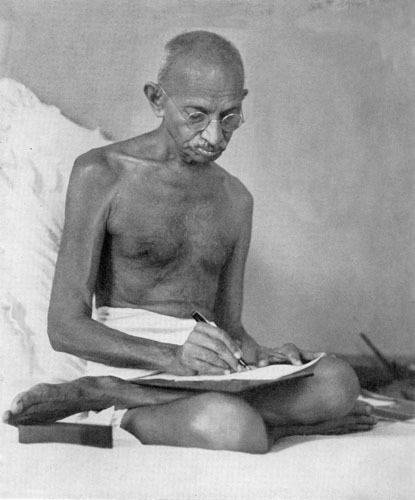 In an effort to provide greater insight into Mahatma Gandhi's exchange of views with the greats of his time, Ahmedabad's Sabarmati Ashram has taken up a mammoth task to transcribe and publish over 8,500 letters received by him.